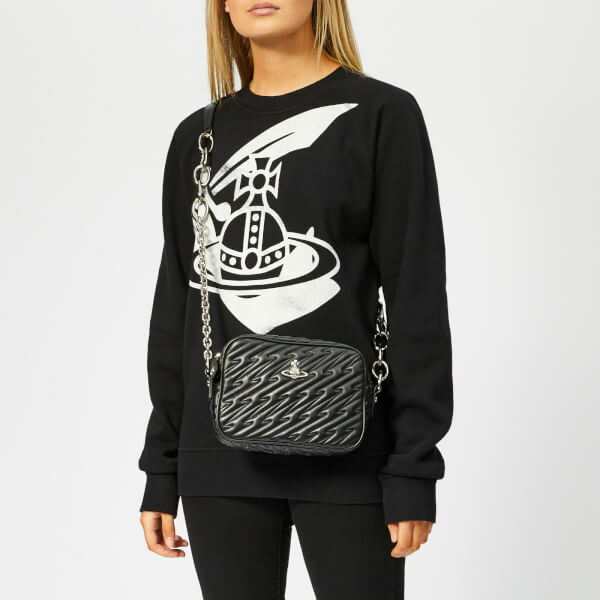 Adorned with Vivienne Westwood’s emblematic Orb appliqué to the front, the black ‘Coventry’ bag from the iconic British designer’s eponymous label, boasts a rectangular camera bag construction suspended from a chunky chain cross body strap with a cushioned leather shoulder pad shaped like a bolt of lightning. 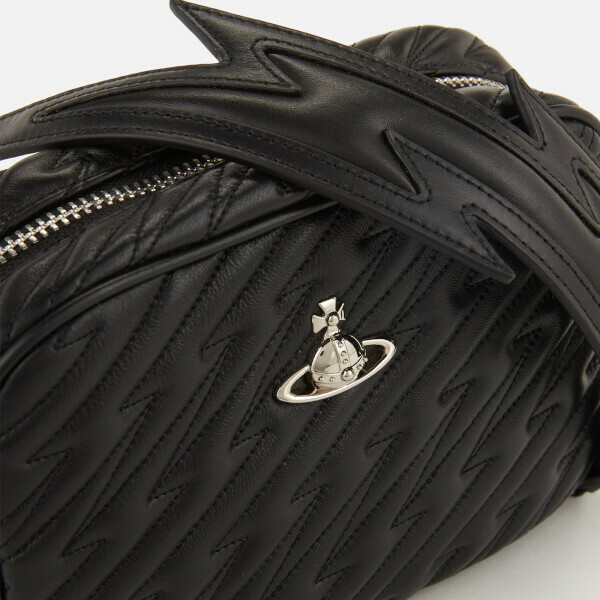 Crafted from smooth and supple leather with matching lightning bolt-shaped quilting and trapunto edge detailing, the bag features a zip-top fastening that opens to reveal its textile-lined interior and multiple pockets within. 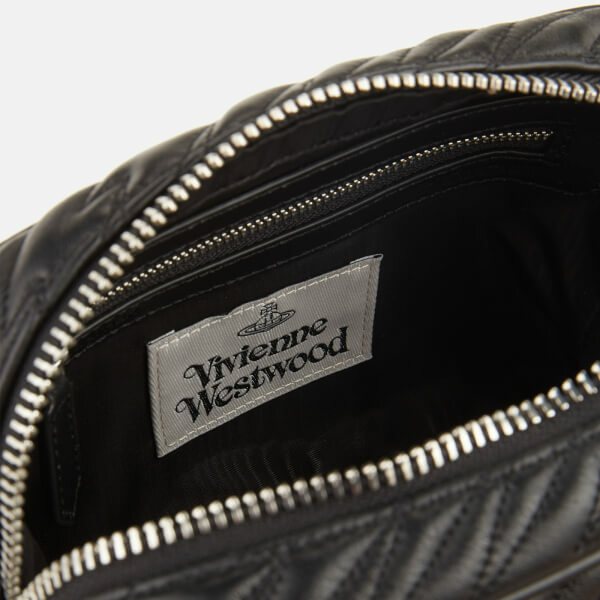 Silver-tone hardware and embossed branding on the strap add the finishing touches. Dimensions: H: 15cm x W: 21cm x D: 6cm. Strap Drop: 48cm.